Go ahead and enjoy a plate of summer down on the dock. We’ve crafted a vibrant meal with bold flavors and fresh Northern produce you can make ahead and eat at your leisure. 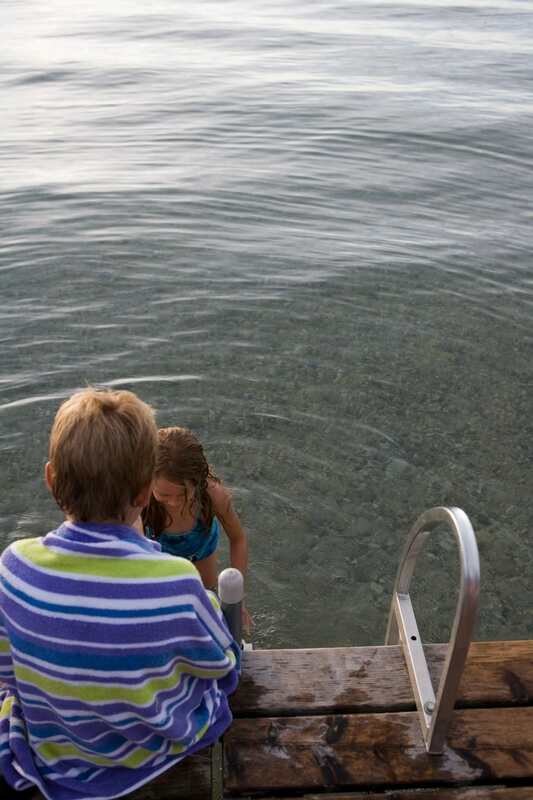 Slip in a pre-supper swim, then dine with wet hair and bare feet dangling in the lake. Picnic recipes below! This meal is easy to tote, laid-back to serve—and the ingredients in every dish benefit from time allowed to mingle. 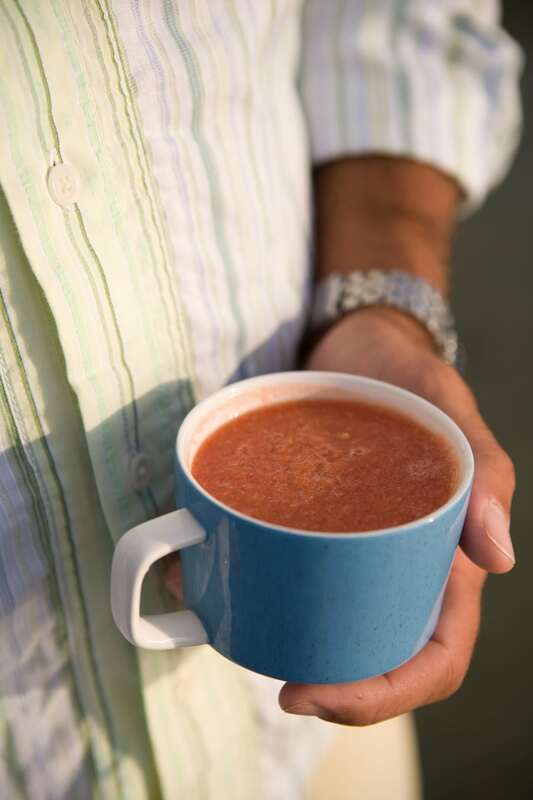 Tangy, sunny gazpacho-soup shooters poured from a thermos—no spoons required. 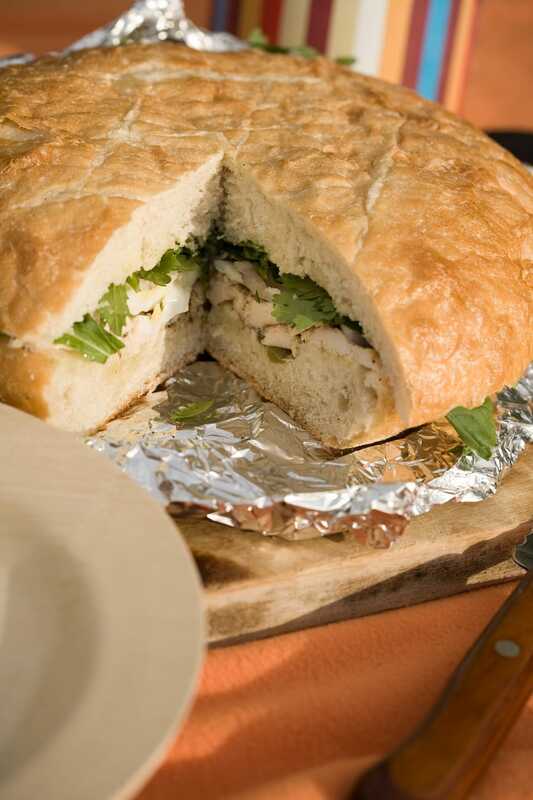 A pan bagnat-style sandwich with Provençal flavors that meld while it’s pressed in the bottom of the picnic hamper. 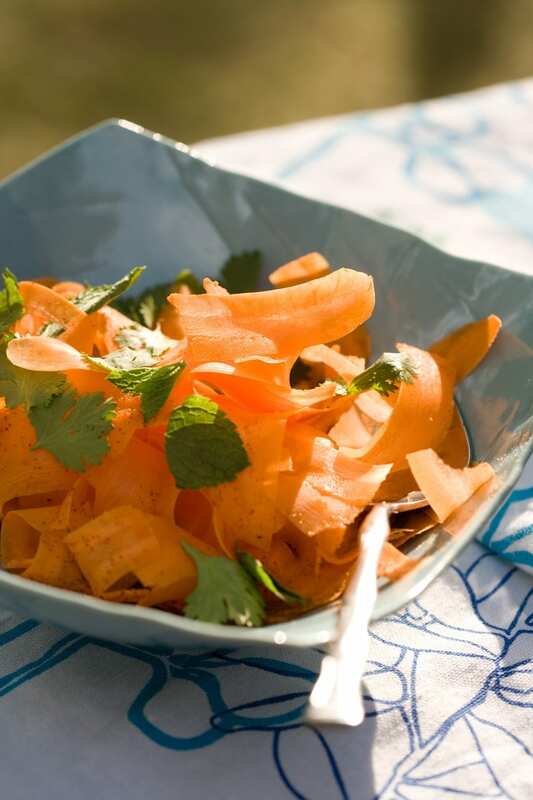 A crisp carrot salad laced with cilantro and cayenne. 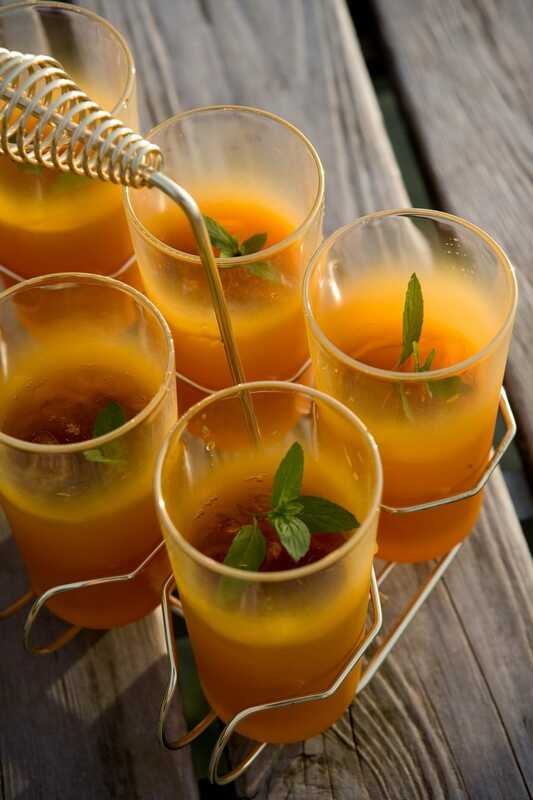 Coconut iced tea with a little wild mint plucked from the shore. When dusk falls, light some homemade Ball jar lanterns and enjoy a fabulous handheld summer dessert—blueberry purses with fresh berries and lemon zest inside. 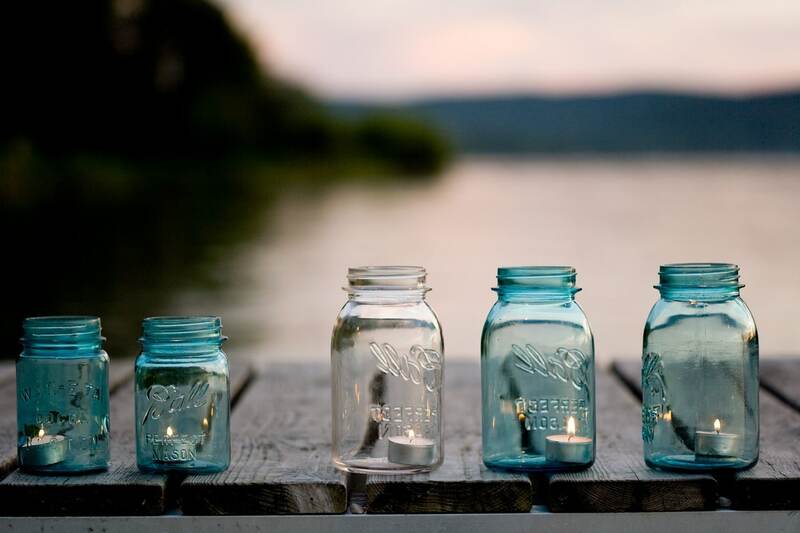 Then take a minute to toast to the crickets and the Up North perfume of cool lake water and pine. A little picnic packing foresight means you can dip your toes in and relax. 1. We like using real forks and serving utensils (much better tools when you’re eating on your lap) and cloth napkins (they don’t blow away). 2. Disposable bamboo plates (we found ours at Green Island, 120 E Front St., Traverse City) are sturdier and more graceful than paper or plastic—and are biodegradable. 3. Throw a few lightweight blankets in for impromptu shore-or-dock tablecloths. You can use them to wrap up in once the sun goes down. 4. We used turquoise blue Ball jars and tea lights to make lanterns. Just make sure you bring a long lighter that can reach inside. For over 30 years the staff at Traverse Magazine has written about the life that’s possible in Northern Michigan. For the web series, Traverse Classics, we’ve reached into our archives to bring our favorites to our MyNorth.com audience. This article is featured in the June 2007 issue of Traverse, Northern Michigan’s Magazine. Get the best of Northern Michigan every month with Traverse, Northern Michigan’s Magazine. Subscribe today!